Moles are a common benign condition. They are a local proliferation of pigmented cells and can appear on the skin as flesh-coloured, dark, flat or raised areas. They can be present at birth or appear later. Fair skinned people tend to have more moles than darker skinned people. Once they appear, moles remain consistent throughout life but the ones that appear in childhood tend to be more prominent and persistent. Changes in the size, shape, colour and border of a mole could indicate the growth of a skin cancer, so should be checked by a doctor. However, moles can change for benign reasons also. Most moles are harmless but they can be cosmetically troublesome. Moles can also become a nuisance if they are located in an area that results in their irritation, such as areas often subject to brushing, combing, shaving, knocking or rubbing against clothing. ablative laser, which flattens the mole, making it less prominent and less subject to irritation. When referring to the skin, the term “barnacles” is commonly used as a name for small mounds of dry, crusty cells which appear on the skin as we age. These are actually seborrhoeic keratoses, a common side effect of ageing and sun damage, particularly in those with fairer skin and those who have grown up in sunny climates like Australia. Treating seborrhoeic keratoses begins with being checked by a dermatologist, to ensure your lesions are not something more serious. Once they have been confirmed as seborrhoeic keratoses, treatment is fairly straight forward. 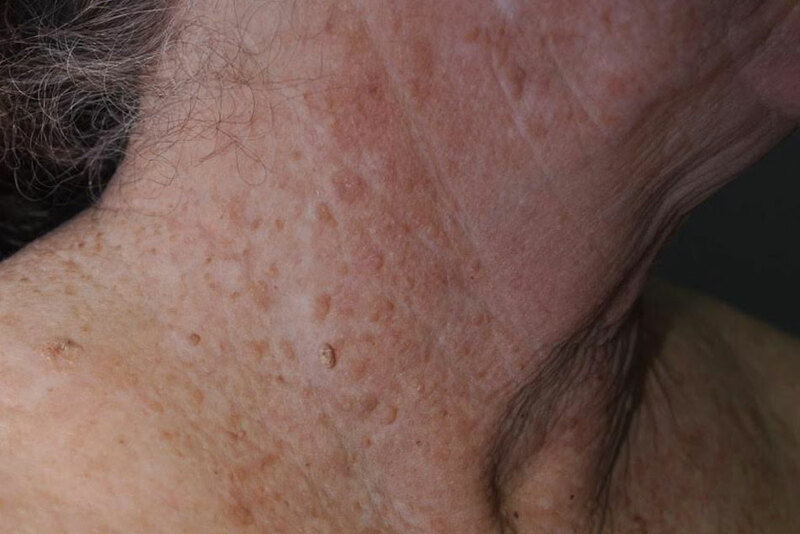 The location of the seborrhoeic keratoses, the number that you have and whether your skin is also showing other signs of ageing or sun damage will determine the appropriate laser treatment. Treatment may include a single session with an ablative laser, several treatments with an ablative laser or a full resurfacing process with a single laser or with several different lasers. At Neutral Bay Laser & Dermatology Clinic, we have over 15 different lasers and can tailor your treatment to the specific types and extent of sun damage that your skin is showing. If you are interested in finding out more about moles, lumps, bumps and barnacles, and how we treat them at our clinic, please contact us on (02) 9953 9522.